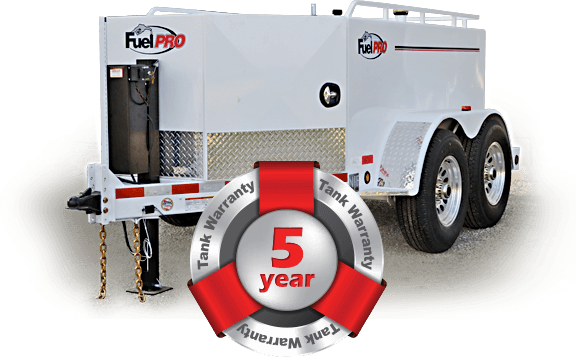 FuelPRO Diesel Fuel Trailers have a 5-Year tank warranty, the best in the industry. 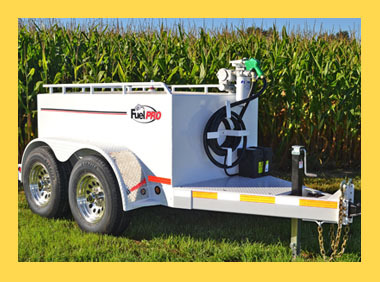 NJF Manufacturing, the company behind the FuelPro Trailer brand, has long been a part of the Agricultural Industry. We only sell equipment we have used or would use on our own farm. We take pride in each and every trailer that our top of the line Certified Welders construct. From start to finish, each trailer is pressure tested and inspected to give you the best trailer possible. We offer 3 models/tank sizes. Each trailer is easily customized with the features you need. 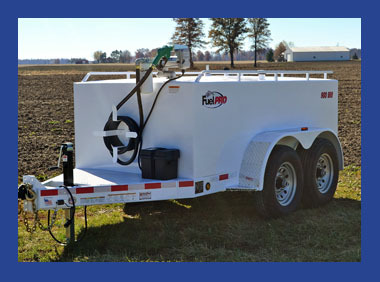 FuelPro 500 gallon base model fuel trailer. Shown with aluminum wheel upgrade. 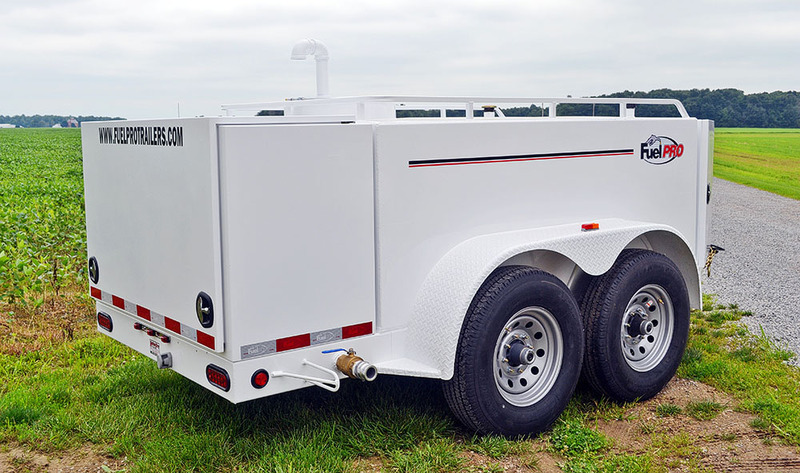 FuelPro 750 gallon base model fuel trailer. Shown with custom yellow paint and aluminum wheel upgrade. 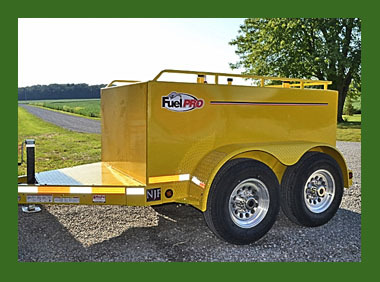 FuelPro 990 gallon base model fuel trailer. Shown with standard steel wheels. Every FuelPRO Trailer DEF System is purged and sealed per ISO 22241 standards for handling diesel exhaust fuel. We Also Build Custom Trailers!